I know! I'm showing once again how much I really like black cats. Seriously, though, they are adorable. Especially when they are asleep! Kitty is curled up here beside me. He opens one eye every once in awhile - I think checking to see if I'm still here. He's getting so old that he really can't hear any more. Isn't it wonderful how much joy we get from our pets? I fell in love with this vintage black cat. I love his aqua eyes and long eyelashes. I even like his striped cap. It's so much fun stumbling across such a fabulous piece. I've got this black cat ready for you to print. He's perfect for lots of different Halloween projects. Download the black cat in hat HERE. Dropbox seems to work differently for different people. When the image appears, wait a moment and a download button will appear in the top right corner. If download button does not appear, right click on the image and save as. I'm always happy to email the image to you, if neither one works! Here's one more fun project with a black cat, of course! My kitty is awake, meowing at me. I think he wants a snack. Just a minute, Kitty! 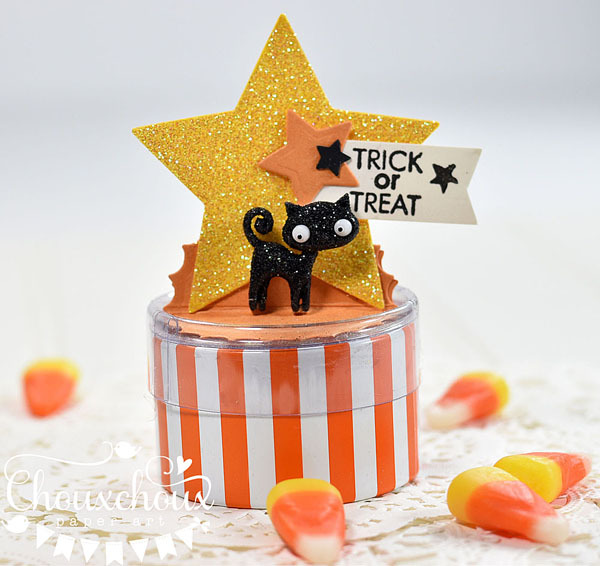 This darling Halloween treat was also one of the Choux Box Kits for Halloween. 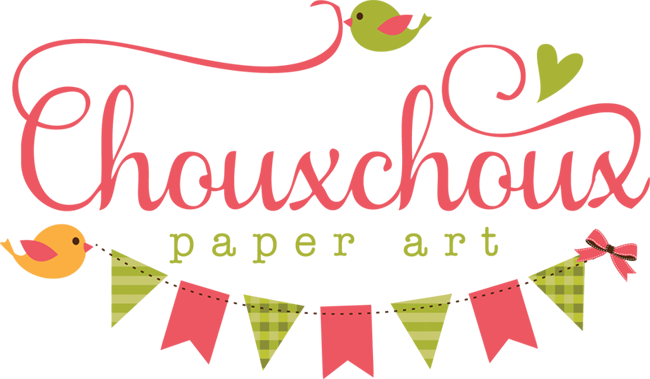 If you are interested in Choux Box Kits, click the link at the top of my blog. 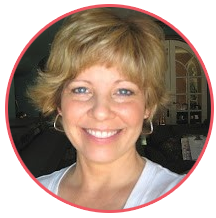 Oh my goodness--so cute, Lori! The card is just what I like for Halloween, but that treat box is my favorite! The sparkly cat, star, orange & white stripes--just love it! Wouldn't make it without my pet--that's for sure! Your two projects are both so fun and sweet! 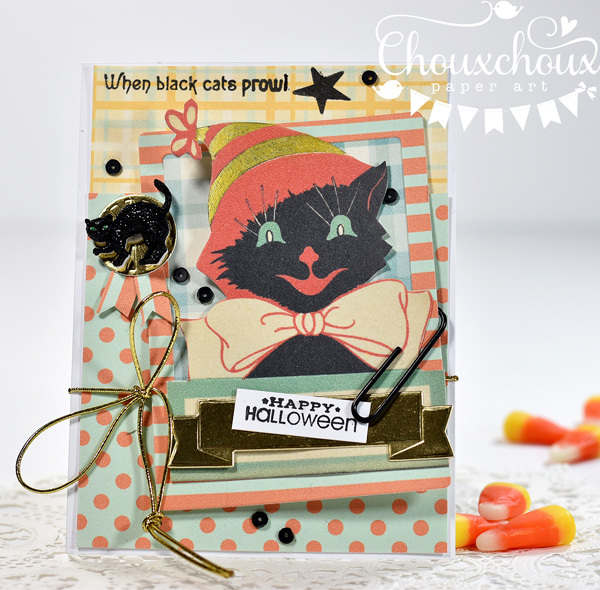 Love the card with the vintage blak cat, and just ADORE your box with that supercute little kitty, the glittered star and the banner!! Hugs, have a lovely week! Such adorable creations Lori - TFS. HI Lori! 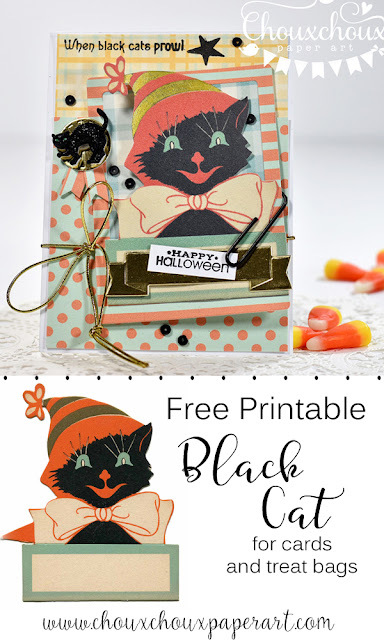 love the kitty halloween projects! I wish I could figure out why my silly printer doesnt work... I have seen so many things that I would like to print out lately! your creations are adorable as always! have a great week! Fabulous creations, Lori!! The black cats are so adorable, esp. the one on the treat box...so cute!! Aww two fabulous creations Lori! 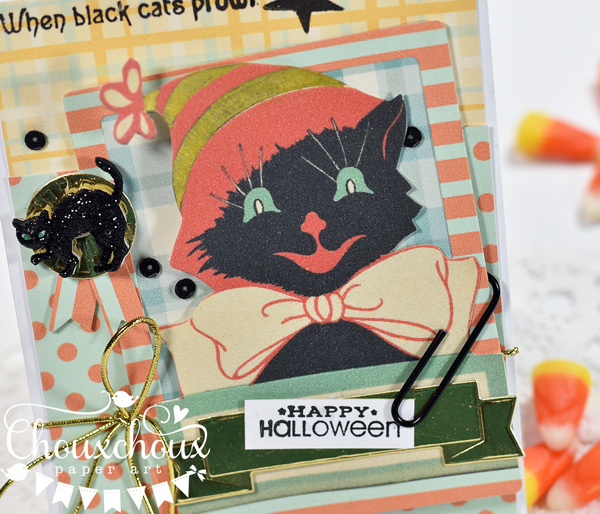 I love that vintage black cat on your card and all of the sparkle on the treat holder is gorgeous!! Your images are just darling...so sweet and vintage! Oh my! Can't believe I missed these... so adorable!! You must have a fantastic printer! Love that cute kitty card and that gift box IS awesome!! Make It A Black Cat, Please!